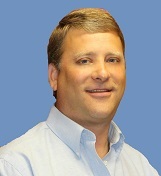 Jeff Manjoine is a Iowa licensed residential real estate agent with 18+ yrs of full time REALTOR experience. Whether it's working with first time home buyers, move up buyers or listing homes for re-sale Jeff has systems in place making the process hassle free. Additional experience includes relocation assistance, land sales, new construction and condo's. Let Jeff Manjoine show you how his real estate buying and selling systems can work for you.